The Axeos Phone allows you to make and receive calls from anywhere via the Axeos PBX. The app supports push notifications, you can receive VoIP calls when your device is in standby mode, saving your battery. 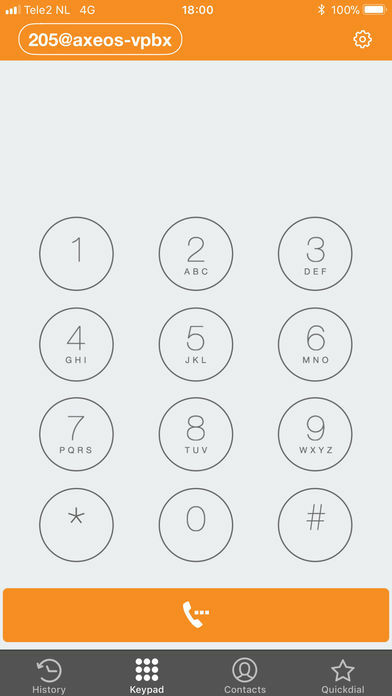 The app alerts you on inbound calls just as phone does when you recieve a regular GSM call. The PUSH functionality is configured for you and does not need further action for activation. Where to download Axeos Phone? Check your PBX version. Note that using Axeos Phone requires Axeos PBX 4.1.2 or higher. The Axeos Phone app uses the data connection or wifi on your phone device. Charges from your SIM-supplier may apply for data use. Check with your supplier to find out if your license allows using Axeos Phone or to request for it to be enabled (monthly fee applies). Check Global Settings in Communication/Phones for your PBX Address setting. If your pbx address can not be resolved the Axeos Phone will not be able to retrieve its settings. E.g. vpbx-1234.company.tld might work but vpbx-1234-reseller.company.tld might not, depending on your suppliers policy. 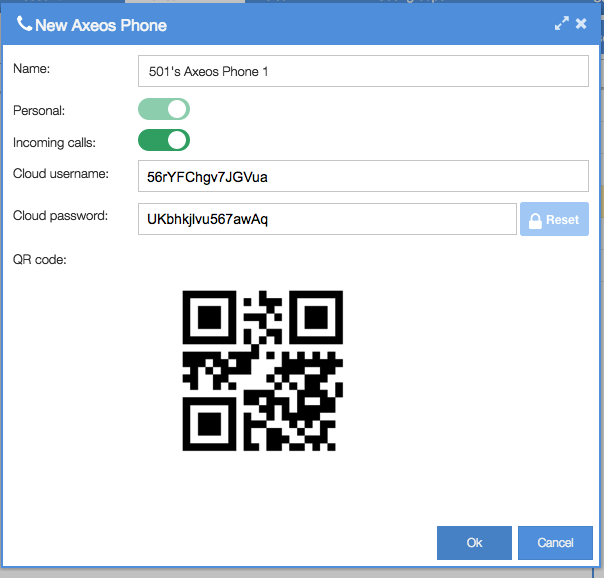 Check (and if necessary edit) the Axeos Phone Cloud-ID in Communication/Phones/Global settings to the ID of your supplier. 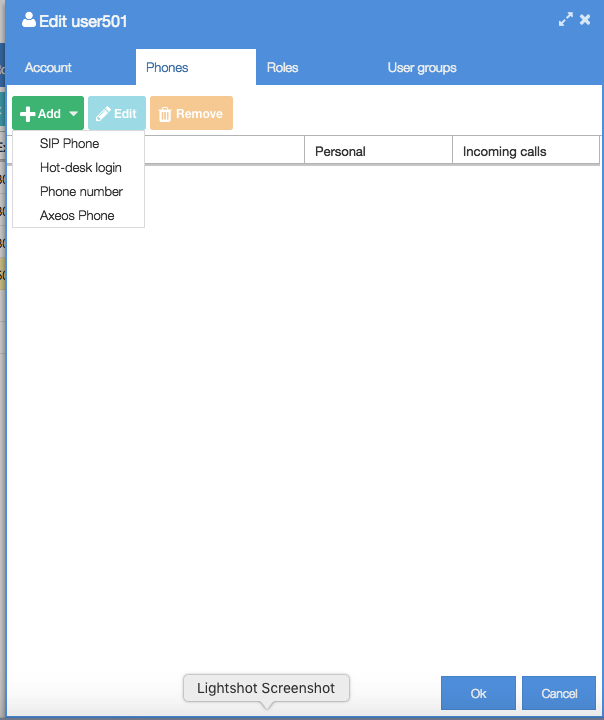 How to add Axeos Phone to my PBX user? Your device is likely going to use dynamic IP addresses, specially if you’re on the move and not using your company wifi only). If so, you should open SIP and Media in your PBX firewall to 0.0.0.0/0 and enable Abuse Prevention (IDS) or use a VPN connection. Your Axeos Phone will use provisioning over https (port 443). Provision from inside your whitelisted office wifi network or open ‘secure web interface’ in the firewall. If you choose the latter please make sure you use strong pbx user passwords to protect yourself from abuse. The Axeos Phone is now added to that PBX user. Ask your end-user to login and scan the QR code to provision the Axeos Phone app with the correct settings. Alternatively you as an administrator can open the user via system/users, go to tab ‘phones’ and open the phone to scan it. That’s it! You now have a fully functional Axeos Phone app on your smartphone. Check your pbx firewall for the settings mentioned earlier in this article. The PBX Address used must match the common name (CN) in your certificate. If your PBX address is ‘awesomepbx.axeos.nl’ then the CN in your certificate must also be the same FQDN: ‘awesomepbx.axeos.nl’. As PBX address you cannot use any FQDN of your choosing. Use of the Axeos Phone is tied to a set of TLDs of Axeos and our partners. If you want to use your own we can accomodate this for a free. Contact our sales dept. for more details.